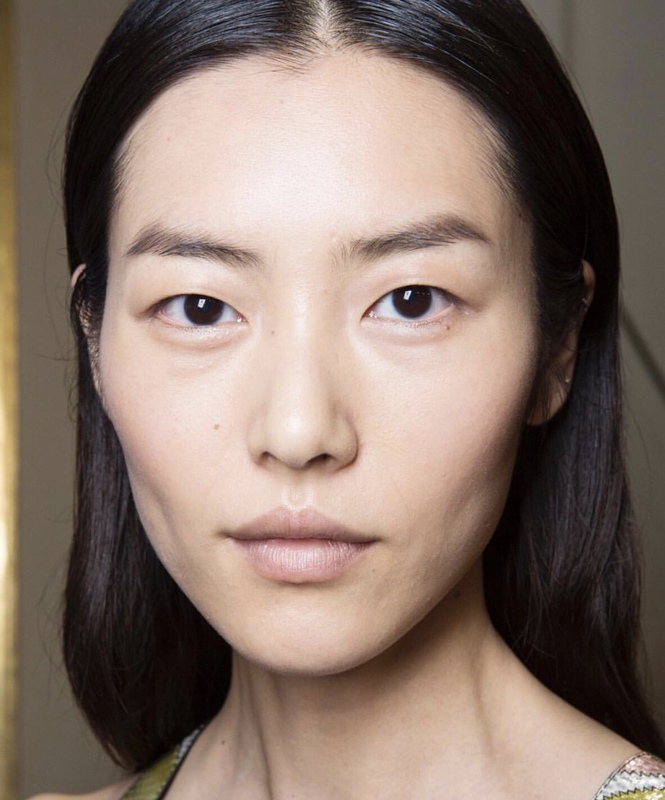 To better reflect the contents of this article, the title should probably be changed to Makeup for East Asian women – the Chinese, Mongolians, Japanese and Koreans – with smaller eyes, single eyelids (or very shallow double eye lids), finer browbones and thinner lips. There is so much online content and makeup tutorials dedicated to women with large, deepset eyes, and poutier lips (injected or not); and barely any for women with different facial features. Although South Korea’s Allure does a pretty good job breaking down the makeup tips for women with smaller eyes and lips. And steal a few tips from these women with delicate features and an A+ makeup game. Eye makeup (liner and shadow) pretty much disappears when these women open their eyes fully. The space between their peepers and brows are also narrower. So just keep the makeup simple with subtle eye-widening contouring of the socket in neutral hues, a lash of mascara and liner. Clear complexion is key. Brows kept full. A brightly-coloured pout can complement and steal the show (no need to overdraw, thick lips don’t look good on a delicate face). See Liu Wen, Jamie Chung, Irene Kim and Jessica Jung for inspo (pictures from their Instagram). We love @PearyPie and @Ponysmakeup, but their features aren’t typically (naturally) East Asian. Still, a few tricks to pick up from them: Metallic eyeshadow does wonders to make eyes look brighter; coral and pink-based eyeshadows can be flattering on Asian skin tones with the right blending skills. False lashes never fail.